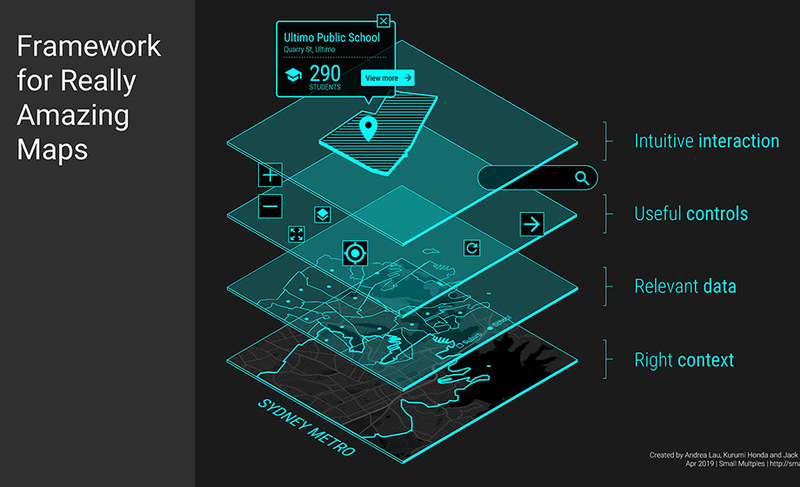 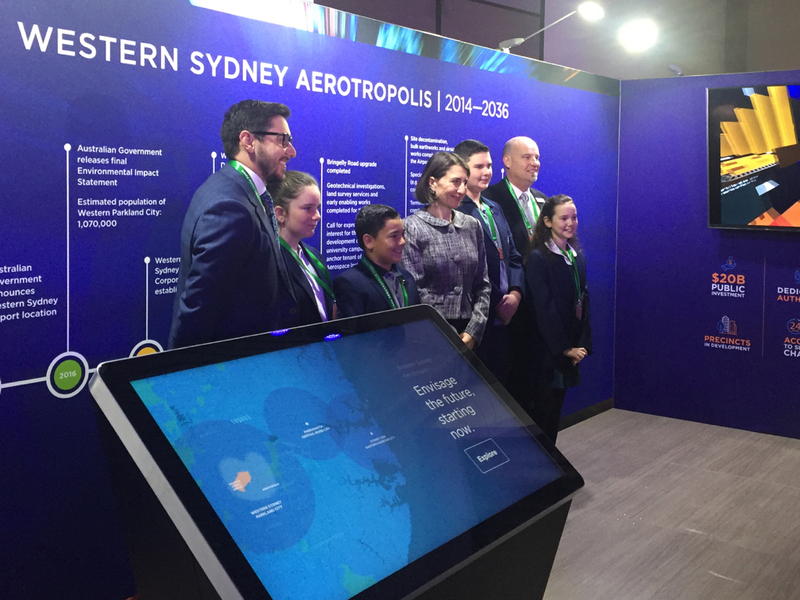 We built an interactive touchscreen to showcase new infrastructure, businesses, jobs and educational opportunities in the Western Sydney Airport area. 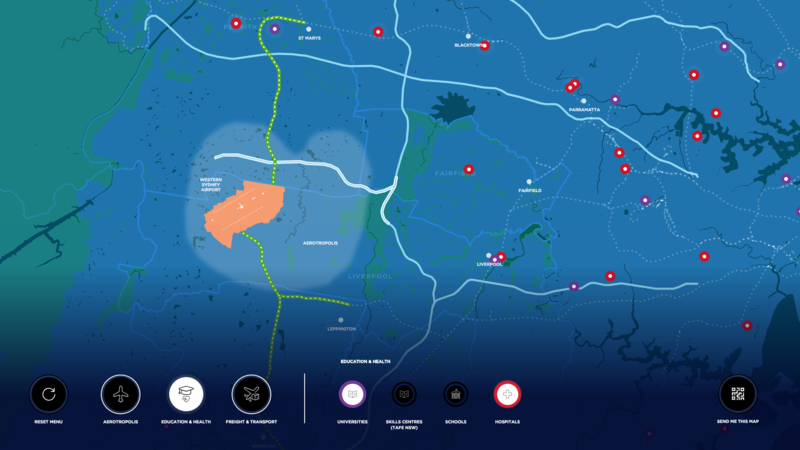 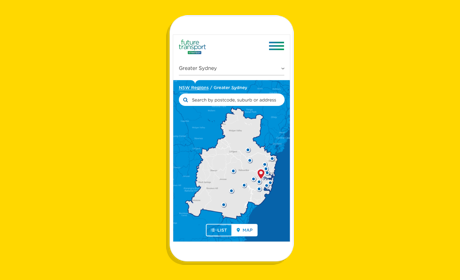 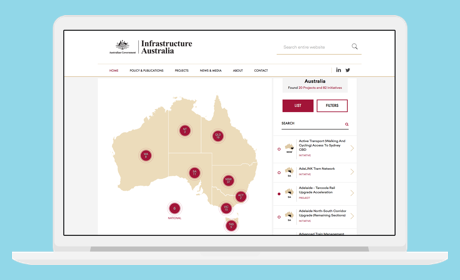 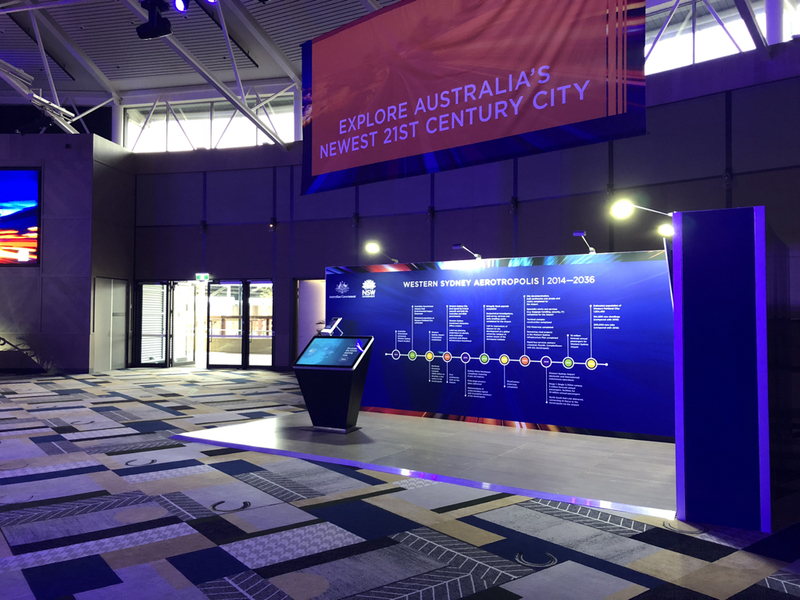 We created interactive touchscreen for the Department of Premier & Cabinet to showcase new infrastructure, businesses, jobs and educational opportunities in the Western Sydney Airport area. 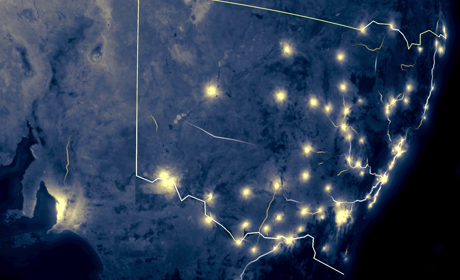 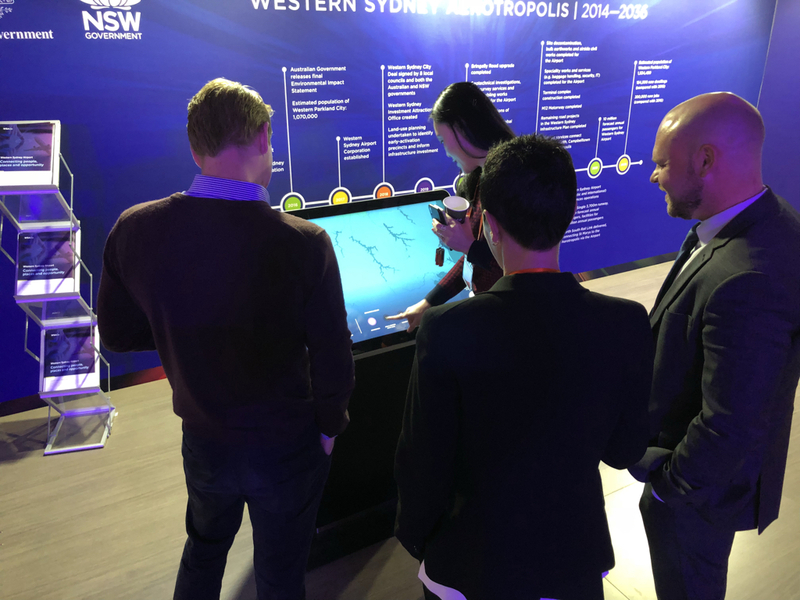 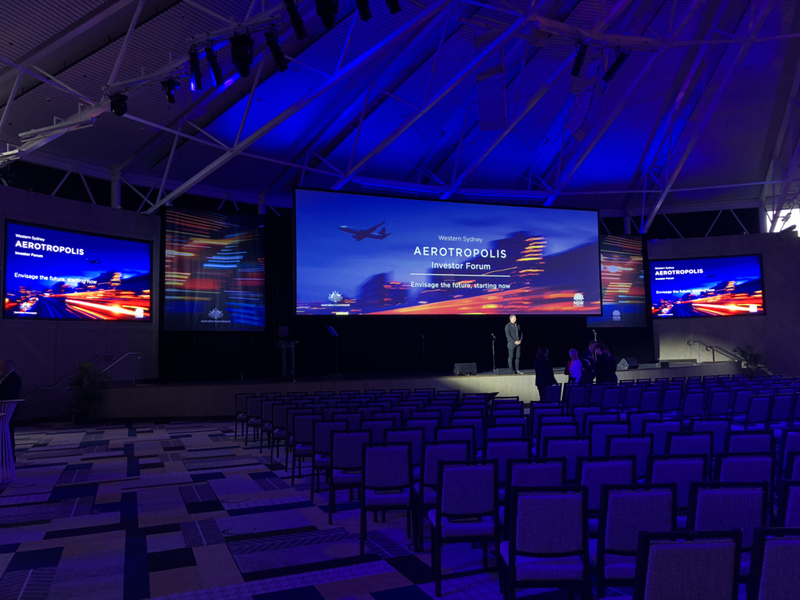 Attendees of the Aerotropolis event had the opportunity to interact with the touchscreen to zoom in and discover key parts on the map that was relevant to them, whilst also being able to see the larger context of the whole area. 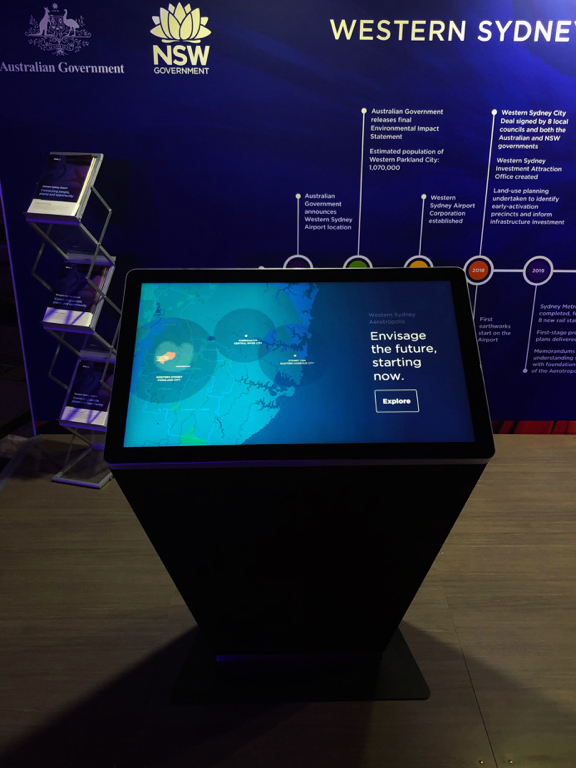 Overall, we produced a highly fluid information discovery experience for the department and helped them deliver their key messages.